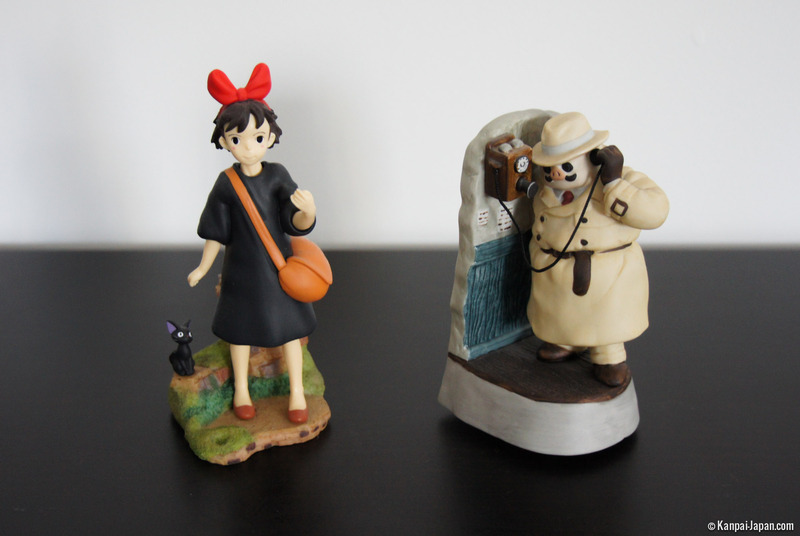 Huge lovers of Ghibli that we are can never get enough of it, but outside Japan, it is still difficult to get hold of the official merchandise. 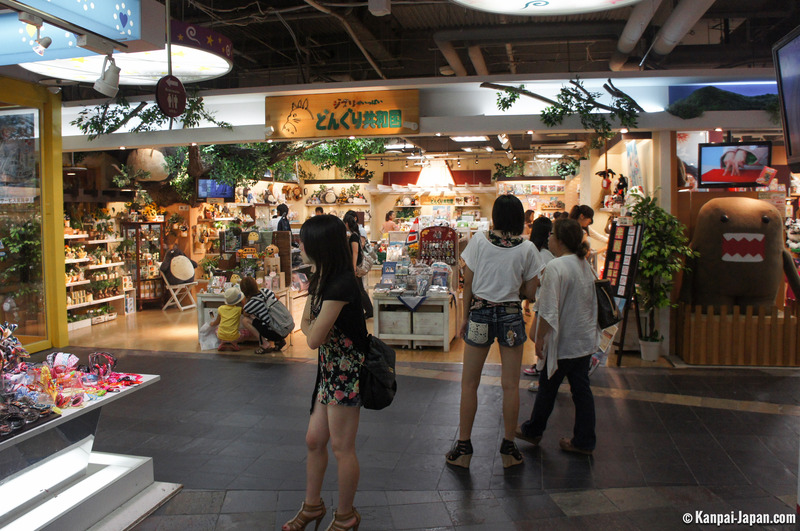 That’s why trips to Japan are the perfect opportunity to stock up on all the brand's goodies. 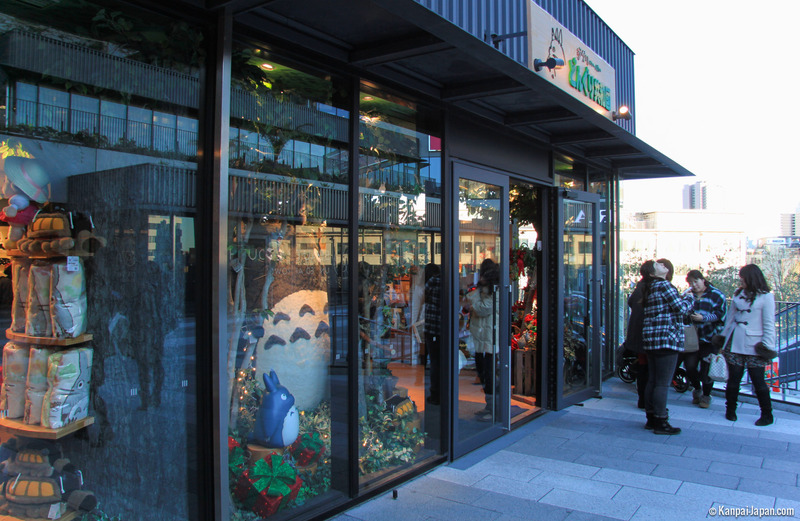 As well as having the Mamma Aiuto shop at the Ghibli Museum, the studio has joined up with the Benelic group to create Donguri, a chain of stores almost entirely dedicated to the brand’s merchandise. It is obviously an essential pilgrimage for all fans, made easy by the convenient location of the shops throughout Japan (see below). 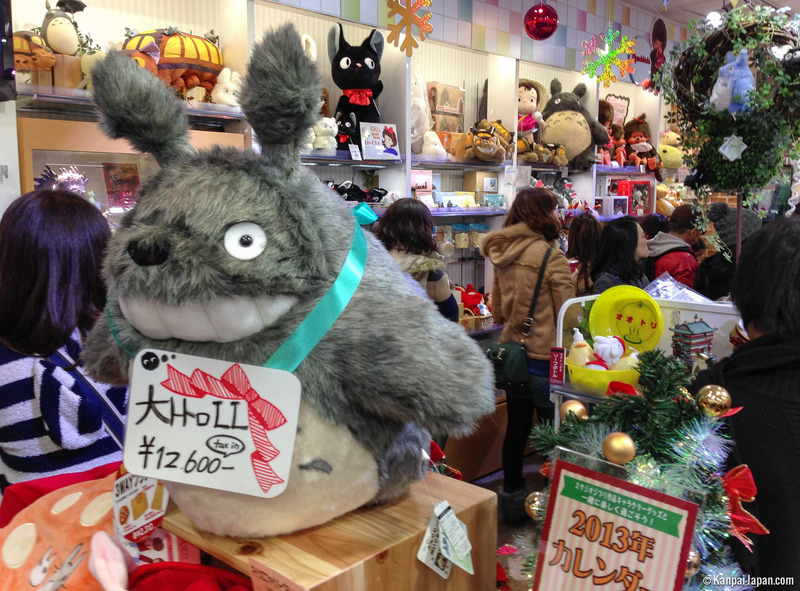 The first thing you usually see when entering the shops is a giant Totoro. You can get most of the products in all the shops, but some items are only available in selected stores. 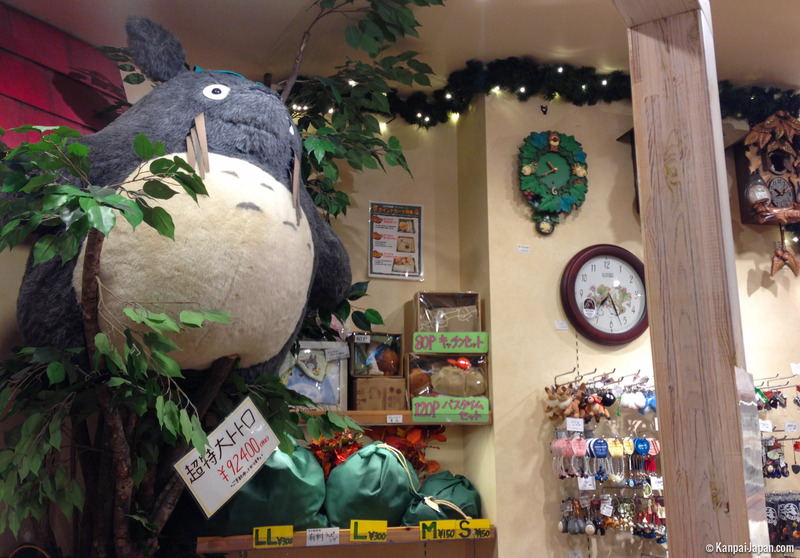 The shops are a paradise for young and old: mainly soft toys and figurines of all sizes, but there is also a plethora of bags, key rings, crockery, linen, accessories and utensils of all kinds, and many other items with designs from the Miyazaki and Takahata films in particular. 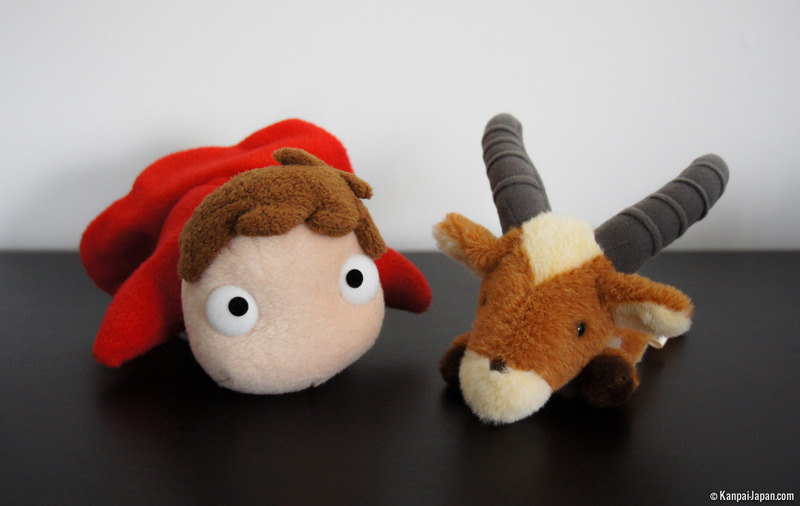 There is also a relatively wide baby range and, of course, you can also buy all the films on DVD and Blu-Ray. 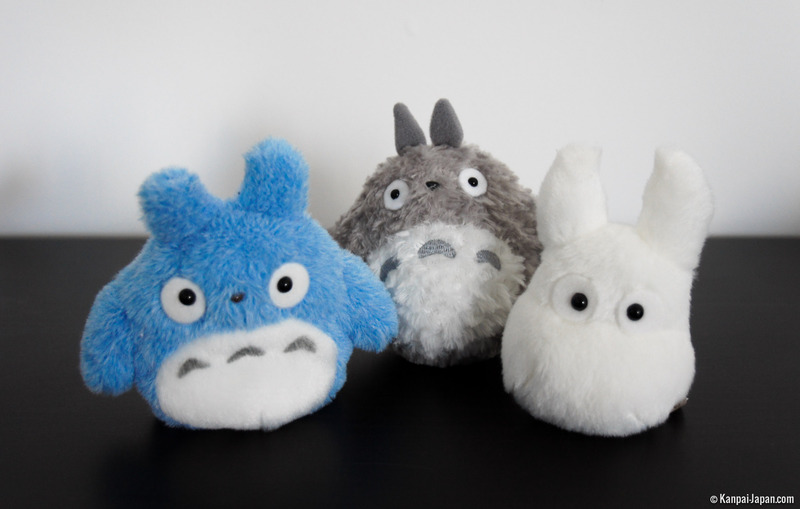 The most popular characters are undoubtedly Totoro, Mei, Jiji (Kiki’s cat), Ponyo, the robot from Laputa or Chihiro’s No Face. All the kawaii ambassadors are there as well, but they do not overshadow dozens of other effigies from the most popular feature films. 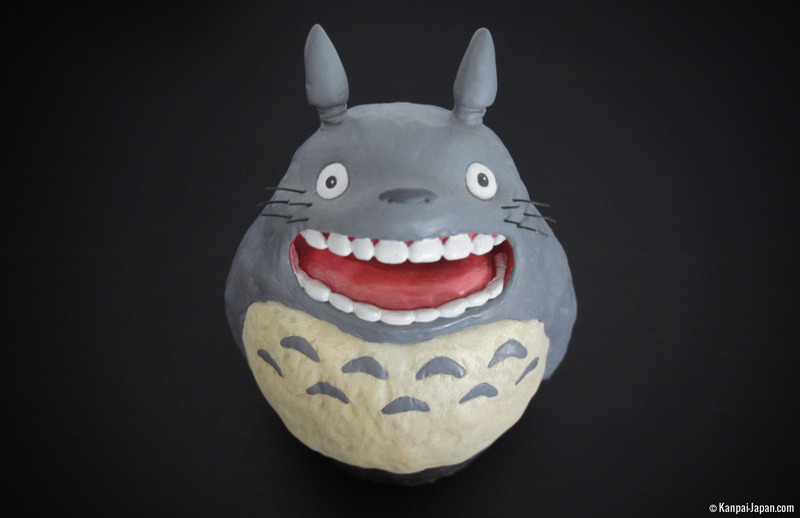 To encourage you to buy, the stores play soundtracks from the Ghibli movies on a loop. 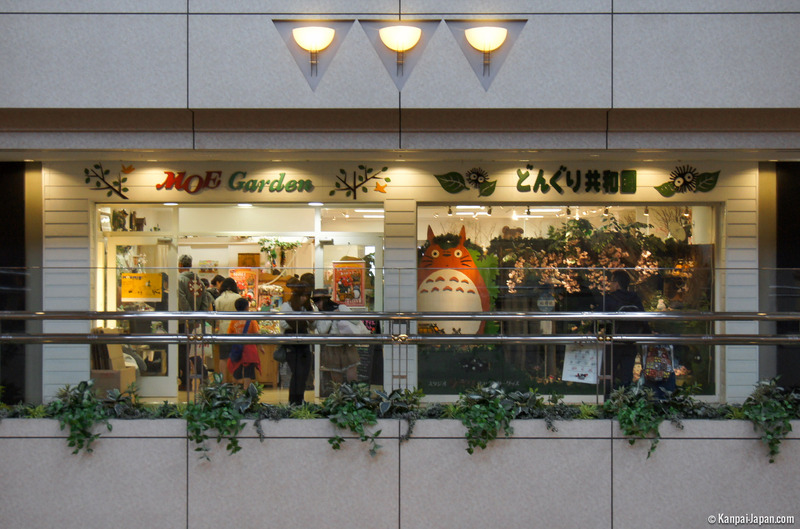 Some people might find the prices a bit steep, but they are usually in line with other types of official shops (Jump Shop for example). What is worse is the practice of reselling, especially on eBay, often at a hefty mark-up. 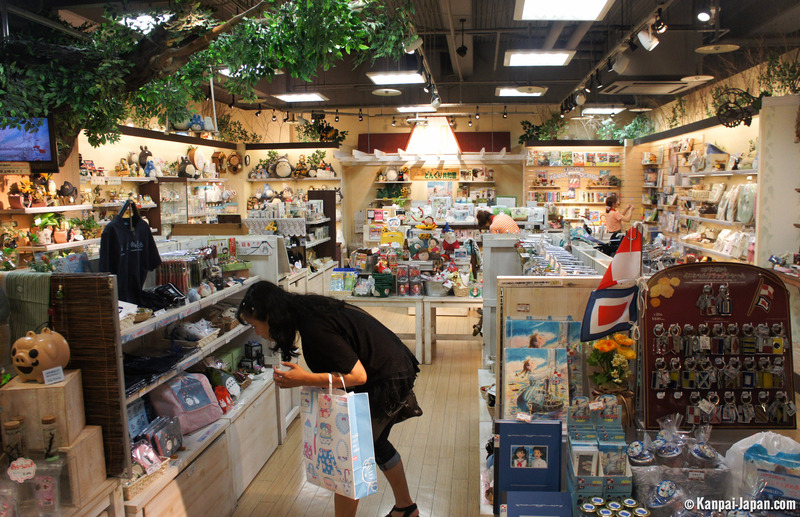 Anyway, for travellers who want to get away from the sort of items in the 100-yen shops, Donguri allows you to take home souvenirs and gifts which are original, genuine items and not too expensive. Some stores also have a Donguri Bank - in Japanese 団栗 donguri means acorn. The idea is that people bring in acorns they have collected, which are taken to Okawa, a village (supposedly the smallest) in Shikoku to help reforestation, a project very dear to Miyazaki’s heart. For every hundred acorns, the customer is eligible to receive an oak sapling in return once a year, in spring. Stores in the chain are usually located in shopping centres (the floor is in brackets) or in shopping streets. When planning your itinerary make sure visit at least one! 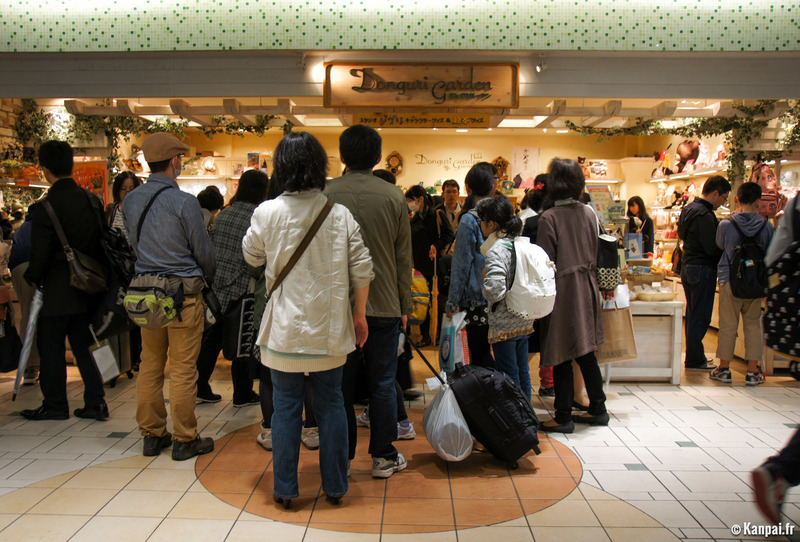 In June 2013 the first Donguri “Republic” store opened outside Japan. Hong Kong (Harbour City in Tsim Sha Tsui, Kowloon) was chosen as the location. Who knows, maybe one day it will come to the West! Note that Donguri does not officially sell its products online. As well as some of the shops we visited on our visits to Japan, we photographed some of the souvenirs brought back from Donguri shops which now adorn our office at Kanpai.